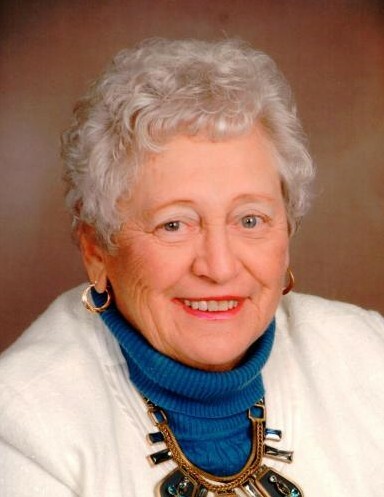 Mary Jean Westerheide, nee Arnold, 84 of Waterloo, IL was called peacefully to heaven on February 12, 2019 surrounded by her loving family. She was born January 1, 1935, in E. St. Louis, IL. Attended St. Patrick's grade school and St. Teresa Academy in East St. Louis and College of St. Francis in Joliet, IL. Preceded in death by parents, Joseph and Florence Arnold, brothers, Joe and Jack Arnold, sisters-in-laws, June and Barbara Arnold, brother-in-law, Jack Westerheide, in-law parents, Rueben and Aurelia Westerheide, daughter-in-law, Terry Westerheide and cousin, Charles W. Koons. She is survived by the love of her life, William V. Westerheide (Bill) who she married on Sept. 17, 1955, her children, daughters,Mary Beth (Mark) Cyliax, St. Louis, MO,JoAnn (Ned) Lane, Columbia, IL, and Sharon Cooper, Maryville, IL, sons, Bill (Cathy) Westerheide, Waterloo, IL, Michael (Karen) Westerheide, Millstadt,IL and Kevin (Colleen) Westerheide, Millstadt, IL. She is also survived by her 14 grandchildren, Lauren (Reggie) Ardis, Scott Cyliax, Elizabeth (Steve) Ladd, Michael (Dusty) Cyliax, Michelle, Brian (Kourtnie) Westerheide, Kyle (Megan) Lane, Cory (Ashley) Lane, Paige (Logan) Lane, Danielle (Justin) Howerton, Jacob Cooper, Benjamin Westerheide, Trevor and Jordan Czerniejewski and 7 great-grandchildren, Kimberly Presson, Devon Ardis, Sam and Aubrey Westerheide, Shepard Lane, Eloise Howerton, and Chris Musk, Jr.
She was a member of several Catholic parishes; Queen of Peace and St. Augustine of Canterbury in Belleville, Our Lady of Lourdes, Sparta, IL and St. Peter & Paul in Waterloo. She was a member of St. Clair Women's Club, Southern Illinois Golf Assoc., Mystic Oak Golf league and the Mary/Martha Sodality and past president of St. Augustine's Sodality Club. She was also a very active member of the St. Teresa's Academy Class of 1952 Alumni Society and enjoyed planning and attending many reunions over the years. Although,golf, sewing, and playing cards were a part of her pastime activities, she especially loved to attend sporting events and other activities of her children,grandchildren and great ­ grandchildren. Playing board games and cards with them was a special treat.